Still number one ! Another serious media, this time from UK, Rough Guide, suggest the top 5 best places visit in Europe for 2012. And number one is again our magical Albanian Riviera, which was lately also awarded number one by Frommer’s. At our www.albania-hotel.com or www.albania-holidays.com you can book different hotels in Albanian Riviera and also organize a trip to experience yourself these hidden treasures of the Mediterranean coastline. Savvy beach bums have begun to chart a course for a still-wild stretch of the Mediterranean: Albania's shores, between the cities of Vlorë and Sarande. 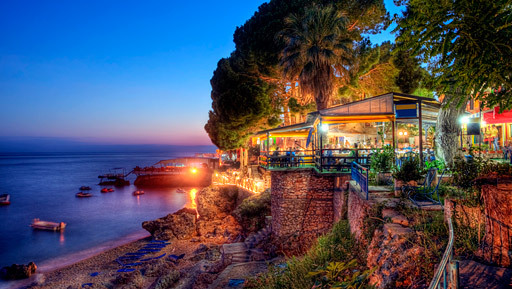 You may have to ride a rattle-trap bus to get there, but you won't regret that when you settle in to a dinner of fresh calamari in front of the electric blue sea. Albania beaches, a set on Flickr.